Isuzu - Find out what we're made of. Perdeberg Isuzu has a wide range of new Isuzu vehicles and trucks available online and on display at our various dealerships that cater to customers across the Western Cape, including Malmesbury and Cape Town. 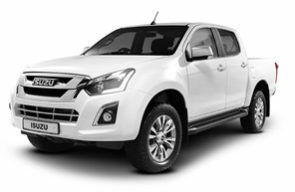 Our Isuzu range include the rugged Isuzu D-Max single cab, the trusted Isuzu double cab and the affordable Isuzu D-Max extended cab. Isuzu is one of South Africa’s trusted and favourite vehicle brands for their dedication to producing bakkies, trucks and vans that are work horses technically but stylistically, look like prized stallions. Best bakkie for your business. A true workhorse, the all-new Isuzu D-Max Single Cab is up for any challenge 24/7. 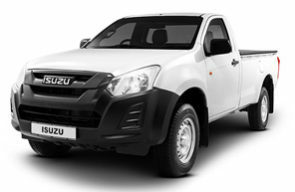 The Isuzu D-Max Extended Cab balances the benefits of the Single Cab and the Double Cab, with added functionality and styling that suits your needs. Whether tackling off-road terrain or city slicking, the all new Isuzu D-Max Double Cab bakkie delivers whether for business or leisure. Explore the different Isuzu models. 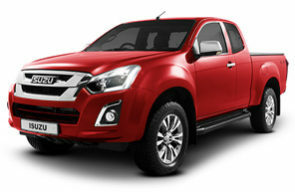 For more information on our range of Isuzu D-Max vehicles, please feel free to contact our friendly Perdeberg Isuzu team and we will help you find the Isuzu bakkie that’s best for you!